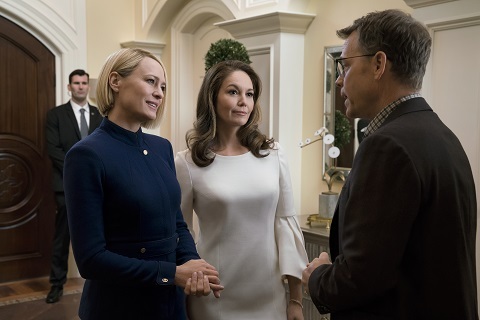 House of Cards nearly toppled when Kevin Spacey left. Recently, Robin Wright told Net-a-Porter Netflix nearly cancelled the TV show after five seasons. As reported earlier, the political drama had its own share of drama last year when star Kevin Spacey left the series amid allegations of sexual misconduct. The upcoming sixth and final season will focus on Wright’s character, Claire Underwood. The sixth and final season of House of Cards debuts on Netflix on November 2nd. What do you think? Are you a fan of House of Cards? How do you want the series to end?